Credit Repair Business, How To Make More Money Now! Credit repair business available, Today! There's good news for you if you have an entrepreneurial spirit, and you have little to no knowledge about credit repair or you are a seasoned professional. You can start your very own credit repair business today. You've probably heard of specialists who help people to improve their credit scores after bankruptcy, repossession and divorce.You can be one of those credit specialists who can help restore hope and raise their credit scores. Here's how you can start your very own credit repair business. 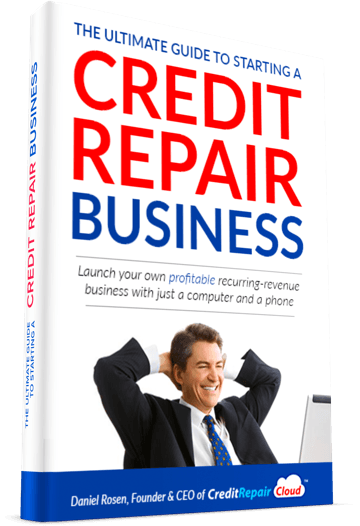 Learn all you can about starting a credit repair software business. You need to learn everything there is to know about the credit scoring system. Once you understand the system, you can learn how to take proactive steps to improve credit scores. Our advanced credit repair training explains all the technical details to you so that you can understand how the scoring system really works. You will learn about inquiries, payments, credit types, account age and the like. You'll learn about the things you can do to remove bogus or inaccurate information that affects scores. You'll learn about the tricks of the trade that can boost your credit score significantly. You can also gain additional knowledge by communicating with experts in the credit repair field who have done what you want to do. Research is the most crucial step in the process. To running a credit repair business effectively, you have to follow a proven step by step program, which this credit repair business can give you. This credit repair business opportunity contains all the tools you'll need to be a productive credit repair specialist. The first profile you should work on is your own profile. Use the techniques and tools this program provides you with to boost your credit score. You can then use that information to impress your prospective clients. Leading by example is the number one rule of business. Clients want to see that you can deliver what they desire. The best way to show them you can is to use your personal profile as an example. It's easy to become a credit repair specialist through this program because we took the time to develop one that works. However, your reputation is another factor in whether you succeed or not. You must take specific steps to ensure that you build a trustworthy reputation. You will need testimonies from other people you've helped. You'll need ratings, and you'll need knowledge about credit repair so that consumers feel comfortable working with you. This risk-free credit repair business training program can help you mold your reputation into something that any client will appreciate. Many people have succeeded by ordering our step by step guide. You can be the next successful entrepreneur. You have to market your business if you want people to use your services. They have to know that you can help, and they have to know what they can expect. Don't make promises that you can't keep. Set their expectations at a reasonable level by letting them know that credit repair will not happen overnight, but it can improve with persistence and the right strategy. You can't promise a specific score, but you can promise that you will help your clients boost their numbers. This webinar can show you how to do that. Finally, you must be 100 percent sincere about your services to succeed. You can make a lot of money helping people repair their credit and you can also create a lot of smiles. Your new career can help you to lift burdens that continuously keep people down. This your business can help a lot of people, but your heart has to be in it. It can work well if you're a compassionate and empathetic person. Try it, and the results might surprise you. You can start your credit repair affiliate business, Today. This Free Training Webinar will provide you with all the tools you need such as credit repair training and credit repair software. The next webinar that we have is starting soon, and you don't want to miss out on this amazing opportunity. 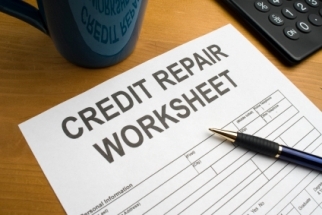 Our training can help you improve your credit report and earn lucrative profits by helping other people repair theirs. Try our credit repair software business training program today at no risk. Open up the door of opportunity for yourself with our free access to the tools you need to succeed. Starting today, you will have the knowledge and power in your hands to change your life financially by following this proven credit repair business opportunity! Start improving your credit score and begin helping others, Today! Disclosure: I am an independent Credit Repair Cloud Affiliate, not an employee. I receive referral payments from Credit Repair Cloud. The opinions expressed here are my own and are not official statements of Credit Repair Cloud.